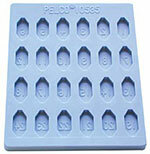 All PELCO Silicone Rubber Molds are made from the highest quality silicone rubber available. With care they will last a long time. 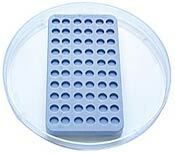 After polymerization in a 60° C oven, let molds cool before removing blocks. This precaution will increase the lifespan of the mold. Using silicone rubber with Spurr's Resin will significantly reduce the lifespan of the molds.